Spritz on some sunscreen and crack open a book. It’s summertime, baby! That means it’s time to go to the beach. You can’t spend your whole trip body surfing and tanning, so after slathering on some sunscreen you’ll want to turn to another, time-honored summer pastime: the beach read. Reading about sharks between your own forays into the deep ocean may seem less than ideal, but historian and journalist Morten Strøksnes’ tale of his own personal journey to find the elusive Greenland shark with his friend, artist Hugo Aasjord, will have you itching to get back into the water when you’re done. Set in the sea around Norway’s west coast, Shark Drunk is less of a shark hunt adventure and more of a meditation on marine life, evolution, fishing culture — and of course, sharks. The science here is woven into beguiling prose, and it’d be in the nature of the book for the reader to enjoy its passages along with a libation of their own. Newly released in paperback form, Robert Moor’s On Trails is the product of his own seven-year sojourn around the world in which he quite literally explored trails. These trails ranged from historical Native American trails, to glacial fjord paths, to the “trails” carved out by humans on the Internet. Along the way, he asks researchers and historians why humans feel the inherent need to carve out and follow roads — the answer to which will likely drive your next summer vacation. Did you know that you’ve probably inhaled a bit of Julius Caesar’s last breath? That’s the claim made in bestselling author Sam Kean’s new book, which mixes science and history to explain how the “alchemy of air” has “steered human progress, powered revolutions, and continues to influence everything we do.” While delightful just for the fun facts that it serves up, the book is also quietly baffling, pointing out that something that as basic as air is much more complicated than you might realize. 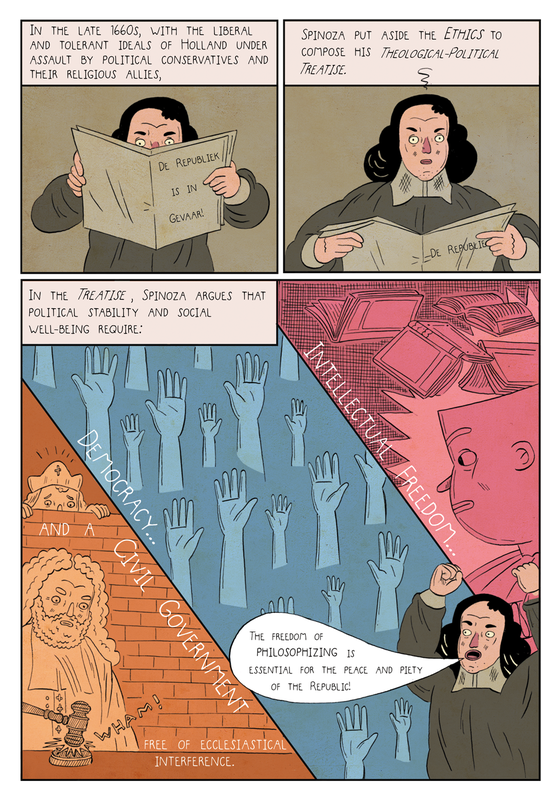 Take your beach reading a step further with this graphic novel about the 17th-century Western philosophers who bravely said “nah” to the status quo set by that era’s religions and royal leaders. Written and illustrated by the father-son team Steven and Ben Nadler, this interesting and funny graphic novel dives into the backstories of historical powerhouses, including Galileo, Baruch Spinoza, and John Locke. It’s the “birth of modern thought” via comics, and you’ll become an expert on this time period without realizing it by the time you’re through. Created by ecologist Dr. Kelly Weinersmith and her husband cartoonist Zach Weinersmith, Soonish also mixes graphic novels and research to engage readers into the world of science. Her new book is focused on the near future and the technologies that are around the corner: From space elevators to “nuclear fusion powered-toasters”, the Weinersmiths explain why inventors are dedicating themselves to these advances, when we’ll see them IRL, and what’s holding up their release into the world. While munching on the snacks you brought to the shore, crack open Peter Ungar’s fascinating book Evolution’s Bite. In the book, Ungar retells the story of human history by the bits of tissue and enamel in our mouths, revealing that ancient teeth aren’t castaway fossils and are instead clues to understanding how climate and diet shaped early man’s evolution. A book that traverses Indonesian monkey-filled jungles to Tanzanian villages, Evolutions’s Bite is the sort of science book you’ll want to chew on. Lauren Slater, the author of the groundbreaking 1998 science novel Prozac Diary, takes on the history and future of psychotropic drugs in her newest book Blue Dreams. Slater’s work encompasses the invention of these drugs and weaves together the perspective of their advocates, their consumers, and their critics. One in six Americans currently take a psychotropic drug to help with mental illness, and her work covers the vast variety of options. From Thorazine, to magic mushrooms, to neural implants, Slater offers an in-depth look at the drugs that literally change our minds.